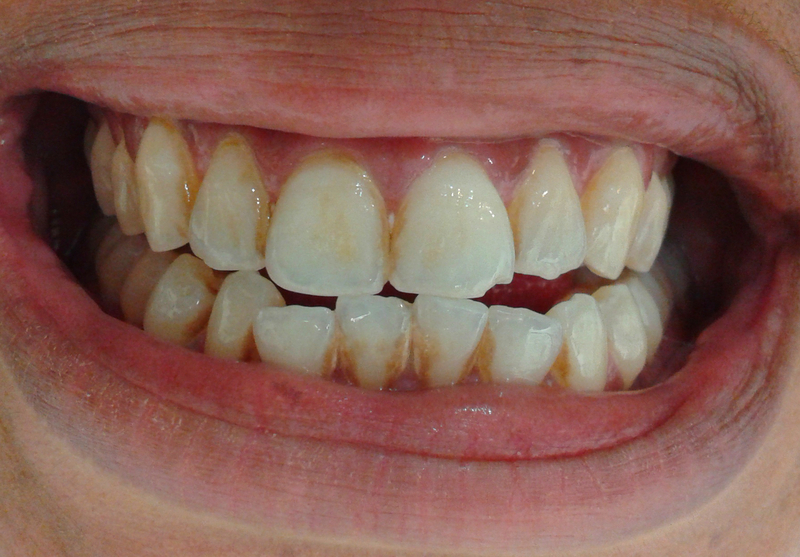 After a combination of hygiene session and laser whitening treatment. Treatments performed by Dr TL. 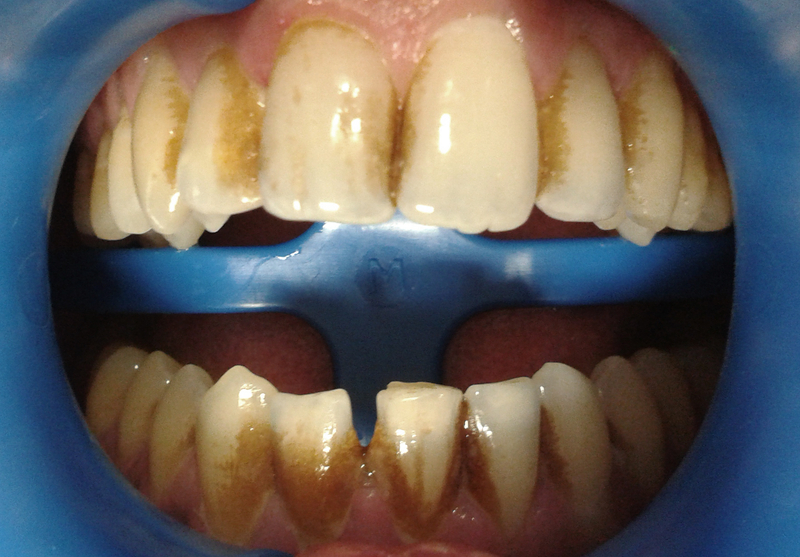 In the UK, 6% of hydrogen peroxide is the maximum a dentist can prescribe and use for teeth whitening treatment (roughly equivalent to 16% carbamide peroxide). Before proceeding, an clinical examination is carried out to ensure there are no risk factors or any oral pathology of concern. A proper cleaning may be required to make sure the surface of the teeth is suitable for treatment. A laser whitening treatment usually consists in 3 sessions of 15 minutes in one appointment with replacement of the whitening gel between each session. The results vary a lot depending on people, some may get amazing results and some others may not respond. Most of the time, using a custom-made whitening home kit will enhance the results and allow the patients to maintain the results over the time. Dental impressions are taken to make transparent trays, perfectly fitted to the teeth. 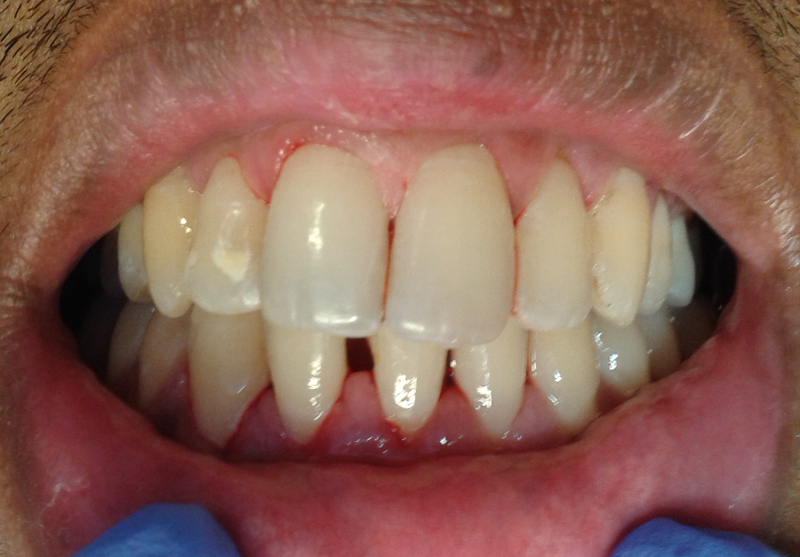 Ideally, trays and gel should be used overnight for one to two weeks. It’s important to be supervised by the dentist during the treatment.